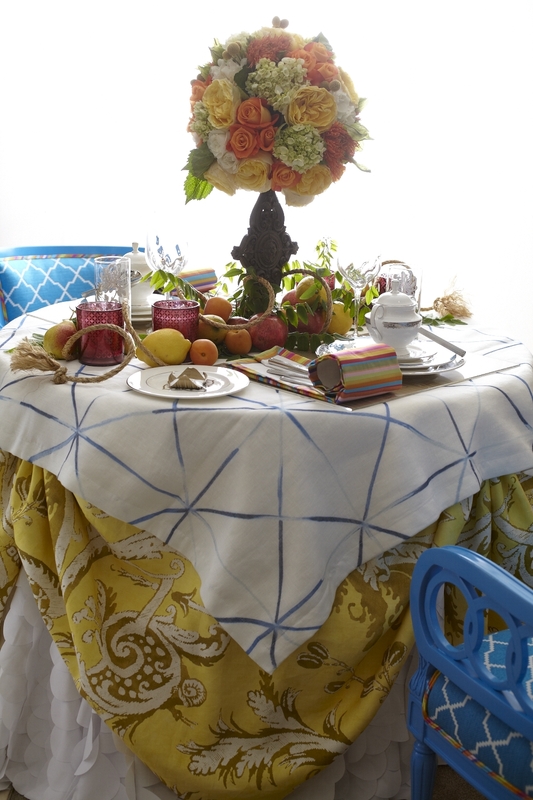 Marks & Tavano Workroom loves doing custom table linens of all kinds, like this triple layer table topper, gathered cloth and petaled cloth we made for JAB Anstoetz and Lenox’s “Spring Break Table Escape”. All fabrics by JAB Anstoetz, designed by Michael Tavano. We did the chair upholstery and refinishing as well.